I made a lampshade this morning from some of my screen-printed fabric and I thought it would be nice to write about what goes on behind the scenes. Not every detail, don’t worry, just a little insight into the journey of a gilhoolie hand-made lampshade. 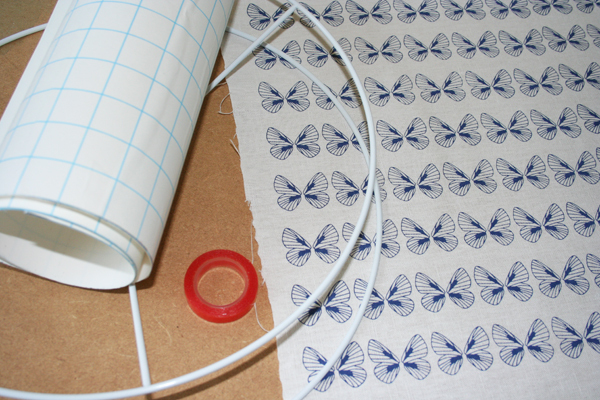 As I’m not organised enough to have lots of fabric already printed, I started off by screen-printing my fabric using my butterfly design. Well, at first I had to mix up some more ink as I had run out of purple, nothing’s ever straight forward you know! Five perfect screen-prints later (phew!) and I have a strip of crisp cotton/linen blend fabric printed with my butterfly design in dusky purple. 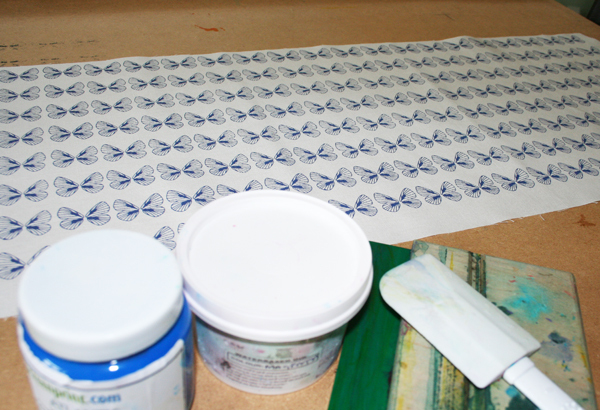 I love screen-printing when it goes right but it’s not always as easy as you’d think. It’s unbelievably satisfying though when I make a lampshade from my own print and that’s why I do it. Once the fabric has dried, I iron it to set the design and then get ready to transform it into a drum lampshade. 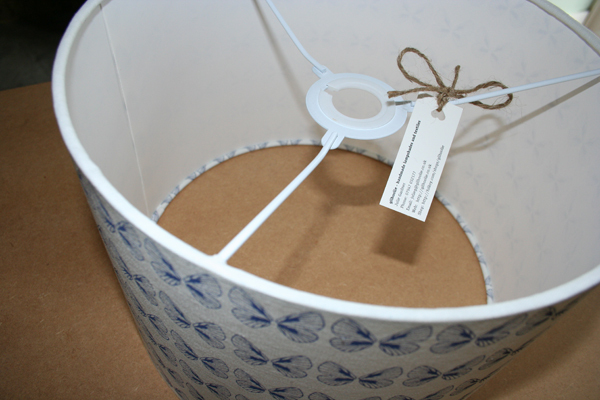 I won’t go into details but you can see the course notes from my first lampshade workshop on FromBritainWithLove. Or come on a lampshade making workshop with me! I love it when the lampshade comes together and I must admit I still have a little jump for joy when it’s done and perfect!